Platinum Open Floral diamond engagement ring. Delightful diamond ring includes the center stone, diamonds total 5/8ct tw. 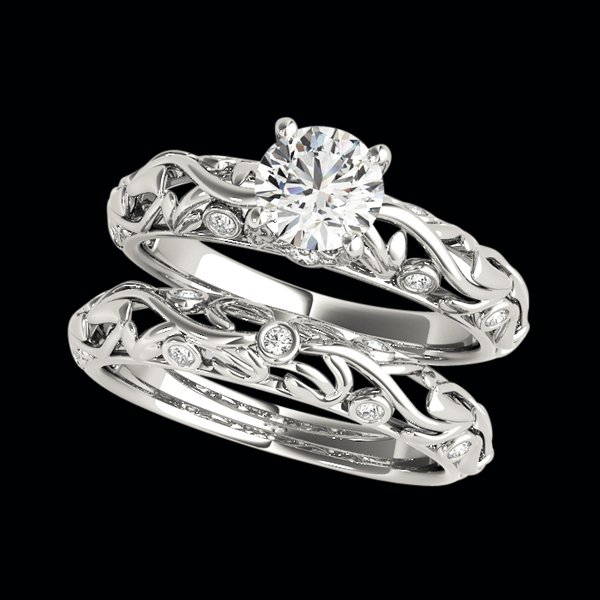 This ring design is set with 1/15ct small diamonds that accent a center .60ctw included diamond. Diamonds are available in different qualities price shown if for SI 1-2 clarity G-H color. Email requests@platinumonly.com for additional pricing.